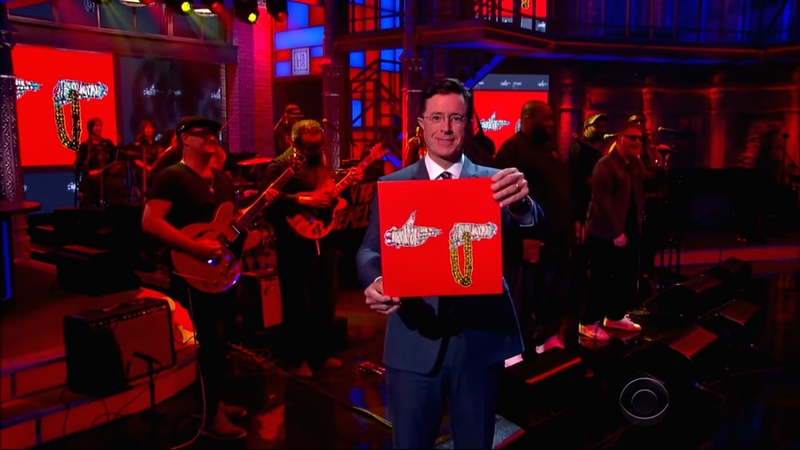 On Tuesday night, Run The Jewels closed out The Late Show’s one-week anniversary with a performance of their single “Angel Duster” off of their latest album, Run The Jewels 2. Brooklyn’s own TV On The Radio acted as their back-up band. Run The Jewels has been very active lately, including their recently-launched radio show, WRTJ, on Apple Music’s Beats 1 Radio and a hugely-successful Kickstarter campaign. They are also touring across the United States throughout September and October. Check out their tour schedule here to see if they’re playing in a town near you!